You’ve probably heard of 4K by now. As one of the sharpest image resolutions available for your home, it’s completely changed the way we see our favorite movies, shows, and sports. Also known as Ultra HD, 4K offers four times the image quality of 1080p HD. Since its adoption by major projector manufacturers it’s been revolutionizing home theaters across Texas. But it’s not just limited to a sharper image. The upgraded resolution usually comes with a whole host of interested and exciting features. For instance, high-dynamic range helps images look more realistic. By widening the gamut between the brightest white and the deepest black, HDR offers thousands more visible gradients of color than standard contrast and brightness controls. Combined with 4K, it appears as though you’re looking through a window. Of course, because 4K and its accompanying technologies are so powerful, it’s easy to forget that they require much more powerful connections. To achieve full 4K, every part of your chain has to be capable of it. That means from your media server to your display, each device must be able to handle the signal every step of the way. However, one aspect that many homeowners over look is the cabling. Standard HDMI cables won’t transfer the signal. In fact, if your cabling doesn’t have the appropriate wiring, you could end up missing out on full resolution or not see any signal at all. 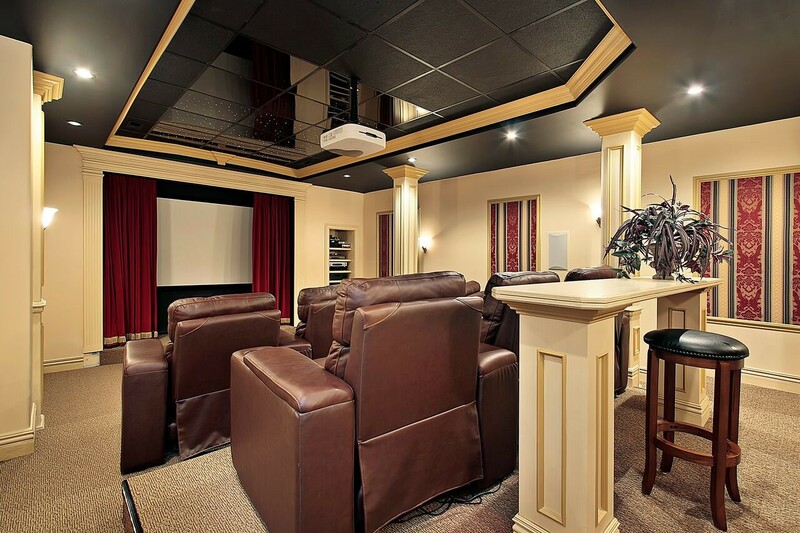 Want to get the most out of your home theater? These are just a few of the upgrades you can enjoy. If you want to learn more, let’s talk! Just click the button at the bottom of your screen to begin chatting with a member of our staff right now.